By	Marios Alexandrou on August 1, 2018. 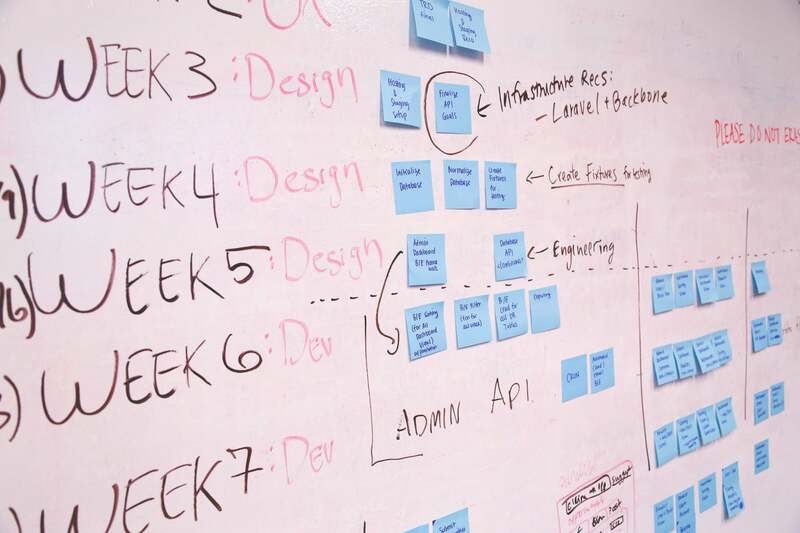 Knowing how to develop an effective project management plan is crucial for students. Doing this will help you tackle those lengthy projects you will inevitably be assigned, and it is especially important to have a project plan for group projects. This clearly delineates roles and make sure that all members are oriented towards the same goals and that they can be held accountable. Project management plans are not only crucial to your success as a college student but knowing how to put one together effectively will also allow you to experience higher levels of success after college or to impress any company with which you have an internship during college. Putting together a project plan guarantees shows that you have a strong leadership initiative, that you’re organized, and that you are capable of following through. With a well-developed project plan, your results will be superior. The first step in developing a project management plan both in school or in the workplace is to write down exactly what you hope to achieve through this project. Obviously, you want a good grade, but what you’re hoping to achieve goes beyond that. Do you need to do research and create a presentation based on a historical event or person? Are you collecting interviews to determine more about a neighborhood or place? Basically, what are your goals and what will you deliver? Only after developing and writing a professional summary can you begin to assess the rest of your project and break down the ways that you are going to deliver on this project. In this stage of your project management plan, you need to make certain basic assessments. These are what you need to find out before you can begin fully developing the rest of your plan. How much time do you have? In order to plan accordingly, it is important to determine the how long you will need to spend on your project and how long you have to finish it. When is the project due? How much time will you need to spend on your project each week? Establishing this allows you to move forward with the other basics to project planning. Determine how accessible your research is. How hard is it to find material based on what you’re looking for? Where will you find this material? These are questions you must ask in order to develop a proper timeline and to effective delegate research roles. Ask your WH questions: What do you need to do? What requirements do you have? How will I get the project finished in the allotted time? Who will complete what task? When does each part of your project need to be done to make sure that the entire thing is finished on time? Assess your team. How many people do you have? What are each person’s motivation, schedule, and skill level? You will also need to determine when and where each person can meet. Gauge your level of familiarity. How complex is this material and how much do you already know about it? You should determine if this is a unit you have already learned a great deal about or if this is brand new material. You should determine what skills or materials from other lessons or classes can help you here. Determine what resources you have and what you still need. Can you get much of your information from your class textbook or will you need to rely on primary sources? If you need primary sources, where can you get them? If you will conduct interviews on how will you go about doing this? Basically, you need to see what resources will allow your project to be finished and determine if they are readily available. If they are not, you will need to ask someone (a research librarian) for assistance. Decide how you will implement your project. What are the exact steps you must take in order to fulfill your goals? This may mean preliminary research followed by a more extensive study. This might mean discussing options with your professors and/or librarians and then further researching based on their recommendations. Break your project down into sections. Establish due dates for each part of your project. Make a spreadsheet or other method of visually organizing the necessary tasks. Make sure you finish each section by its due date in order to guarantee that you will not be forced to do the entire project at the last minute. Designate roles. Decide who is most suited for what task. Some people may be more suited towards research, others organizing interviews, writing, etc. Make sure you can evenly distribute the labor as much as possible and develop due dates for each individual. Now that your project plan is in place, you can execute what you have established. You must make sure to adhere to all roles and deadlines. Each time a deadline is met, you should meet and establish what has been done and how successfully. Determine if more work needs to be done on each step and if you are fully ready to proceed. After your project is fully completed, determine what type of editing needs to be done in order to get it ready to turn in. Format it correctly and then turn the project in or present it. Reap the benefits of your hard work! Creating a project plan such as this one allows you the organizational level to succeed both in college and after college. Your projects will undoubtedly be more successful when done in a format such as this. Additionally, because everything is documented, you can continuously review and improve each time you have a new project.